Synergy Business Consulting (SBC) was established over a decade ago. Today, we are Pakistan’s leading full service support and advisory firm for startups and existing businesses. At SBC, we provide Business Advisory, Business Registration and start up services, Company Formation/Incorporation, Company Registration in Pakistan, NGO/NPO establishment, Audit and Taxation services, Intellectual Property (Trademark, Copyright, Patents) Registration, HR Services and IT Solutions to businesses, NGOs and individuals—all under one roof. SBC encourages entrepreneurs and small business owners/SMEs to effectively identify goals and priorities and provides practical strategies to achieve those. SBC comprises of experienced, competent and dedicated professionals having education and expertise in diversified areas of business development. SBC associates include Waqas & Company, Chartered Accountants, Pakistan; Healy Consultants, Singapore; Adam Consulting, Dubai, UAE; and Verticle Limit Consulting SDN. BHD. (VLC), Malaysia. 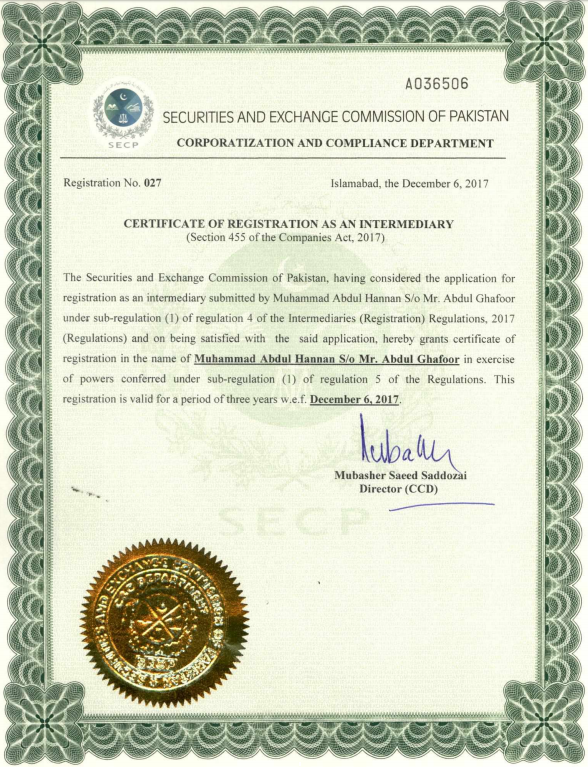 SBC is being headed by Muhammad Abdul Hannan, Former A. Registrar, Company Registration Office, Securities and Exchange commission of Pakistan. He has more than 15 years of experience of working in Corporate Sector. During his 10 years stay with SECP, he remained engaged in all corporate activities including Company registration in Pakistan, NGO Registration in Pakistan, Foreign Company Registration in Pakistan.